Home » LASIK Services » What if I Can’t Have LASIK? Some patients are not candidates for LASIK surgery due to thin corneas, severe defocus (myopia, hyperopia or astigmatism), or keratoconus. Luckily, LASIK eye surgery is not the only option available for vision correction. A solution for these patients requiring vision correction is the Visian ICL™ (Intraocular Contact, or Collamer Lens) or PRK laser vision correction. The word “phakic” means that your natural crystalline lens is left in the eye. The Visian ICL™ procedure involves placing the intraocular contact lens implant inside the eye. This is generally done in a 15 minute procedure under topical anesthesia, one eye at a time. The Visian ICL™ implant rests between the iris and the lens. 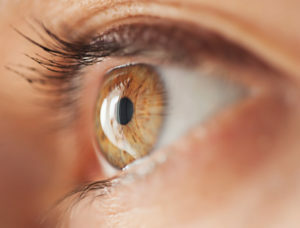 This gives the eye another focusing lens that provides high-quality, high-definition vision which, for high myopes, has been shown to be better than LASIK. The intraocular contact lens implant can be removed if needed. The VHF UBM (Very High Frequency Ultrasonic Bio Microscope) is an ultrasonic device used to examine the internal structures of the eye. The UBM allows the surgeon to gain an understanding of the anatomy and sizing for implanting the Visian ICL™ into your eye. Roholt Vision Institute was one of only 3 practices in the country to utilize the original Artemis II UBM for ICL sizing. We currently use the Quantel Aviso 50 Hz UBM, which we believe is superior for ease of use, reliability, and accuracy – you should insist on this examination if you are considering a Visian ICL™ for myopia. Roholt article on ICL sizing. Dr. Roholt was the first surgeon in Ohio to offer this life-enhancing option for patients. Even in 2008, Dr. Roholt ranked first among all doctors in Ohio with implanting the most Visian ICL™ lenses, and since then he has helped many other patients who couldn’t have LASIK or PRK. For more information regarding the Visian ICL™ Lens visit www.visianinfo.com or contact Roholt Vision Institute to schedule an appointment today. PRK is the traditional method of laser vision correction and was approved by the FDA in 1995 prior to LASIK. Similar methods of performing PRK include ASA (Advanced Surface Ablation), LASEK and Epi-LASIK. PRK is laser vision correction similar to LASIK, performed without a flap. PRK techniques have evolved over the years so that results are equivalent to LASIK. An excimer laser is used to remodel the corneal surface just as in LASIK. PRK is a simpler procedure than LASIK: no flap needs to be made. A clear skin, “epithelium” covers the cornea. The epithelium is gently removed in PRK; ablation (laser treatment) is then performed. A contact lens (a “bandage” contact lens) is placed, and functions as temporary protection for the surface, to substitute for a LASIK flap. Epithelium resurfaces the cornea beneath the contact lens over the next 3-4 days. Another technique is “Epi-LASIK.” A specially designed microkeratome is used to gently lift up the epithelium only. This tissue is then either replaced or discarded. Eye discomfort after PRK is somewhat increased over LASIK for 3 days, and visual recovery is not as fast as LASIK. Outcomes are similar to LASIK. PRK/Epi-LASIK is preferred in some high-stress environments or the military, or if corneal thickness or pupil size is not suitable for LASIK. Dr. Roholt was the first eye surgeon in Ohio to perform Epi-LASIK. If you are interested in scheduling a consultation, contact Roholt Vision Institute today.